Competition in the white hot AI (and public cloud) market pits Google against Amazon this week, with Google offering AI hardware on its cloud platform intended to make it easier, faster and cheaper to train and run machine learning/deep learning systems, while Amazon is reportedly developing its own AI chip portfolio. 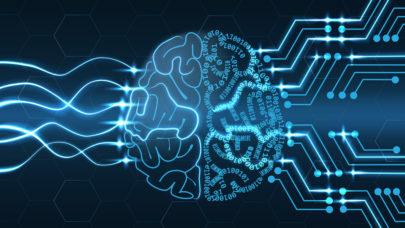 It’s the latest in a series of processor-related moves by the two companies, along with Microsoft Azure, IBM Cloud and other public cloud services providers, have made in recent months to position themselves as AI becomes increasingly integrated into our business and home lives. Google is making Cloud TPU (Tensor Processing Units) accelerators available starting today on the Google Cloud Platform (GCP), an offering the company said will help get machine learning (ML) models trained and running more quickly. Cloud TPUs is Google-designed hardware designed to speed and scale up ML workloads programmed with TensorFlow. Built with four custom ASICs, each Cloud TPU has up to 180 teraflops of floating-point performance and 64 GB of memory on a single board. Meanwhile, Reuters reports that Amazon two months ago paid $90 million for home security camera maker Blink and its energy efficient chip technology, according to unnamed sources. According to the report, Amazon seeks to strengthen its ties to consumers via in-house devices. And while Amazon’s Cloud Cam and Echo need a plug-in power source, Blink claims its cameras can last two years on two AA lithium batteries. Amazon declined to comment on the acquisition’s terms or strategy. In addition, a published report from The Information states that Amazon is developing its own AI chip designed to work on the Echo and other hardware powered by Amazon’s Alexa virtual assistant. The chip reportedly will help its voice-enabled products handle tasks more efficiently by enabling processing to take place locally at the edge, by the device, rather than in AWS. As for Google’s Cloud TPUs, the company said it is simplifying ML training by providing high-level TensorFlow APIs, along with open-sourced reference Cloud TPU model implementations. Using a single Cloud TPU, the authors said ResNet-50 (and other popular models for image classification) “to the expected accuracy on the ImageNet benchmark challenge in less than a day” for less than $200. Google said Cloud TPUs are available in limited quantities today and usage is billed by the second at the rate of $6.50 USD / Cloud TPU / hour. This article first appeared in our sister publication, EnterpriseTech.